Behold the Razer Tiamat 7.1, the world's first circumaural gaming headset with 10 individual drivers built-in to deliver the ultimate 7.1 Surround Sound experience. Dominate deathmatches when you can hear incoming enemy footsteps to prevent backstabs and pinpoint enemy locations through gunfire with absolute precision. No other surround sound headset has been engineered to produce such lifelike positional audio geared for the ultimate tactical advantage. Total audio mastery in your hands. Set the volume, audio positioning and bass depth as you want via the audio control unit. Whether it’s configured to blast a full frontal wall of sound or scaled down to simple stereo, get the right level of intensity for your gaming audio every time. A world's first, the 10 individual drivers in the Razer Tiamat 7.1 provide immersive, crystal clear surround sound. The reproduced audio is so rich and lifelike that not only will you feel like you’re right there, you'll have the edge over your enemies. Let 'em try sneaking up on you now. Easily and accurately fine-tune the level of each audio channel, position, and bass depth to your exact enjoyment using the supplied control unit. Pros - Strong bass, especially in games; good sound separation in supported games, well built and comfortable. Cons - Requires lots of playing with an equilizer, terrible sound out of the box especially for music. There are lots of bad reviews for those, however I must say that after properly calibrating them through an equilizer the muddy, cheap sound becomes much much better. In 7.1 mode for playing music those are absolutely horrendous, however if you use bass redirection and set crossover frequency at about 70hz they become quite nice. And if you use 2.0 mode you will need to play with the equilizer a bit to achieve nice results. Therefore you will need a proper sound card with equilizer settings.. I have been using them with SB Live! 24bit with modded drivers as well as with Asus Xonar U7. The design is very very good, they are very well built and really comfortable. I can hardly feel them despite their size. Also they are durable with strong meshed cable. The pads are soft and don't cause any sweating. 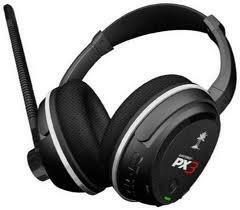 Pros - 7.1 for pc and 5.1 for console using Tritton Ax pro AMP, Most comfortable headphones I have owned. Cons - Console a channel is lost which can lose a cue or a slight gap in listening which can cause virtual death in cod only. Long time user of Tritton Ax pros, have logged over 1500 hours on 2 pairs and love them. 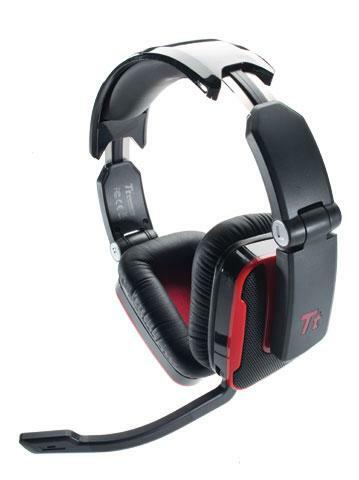 I was told these will work with the tritton ax pro amp and they do in 5.1. Bass sounds good especially when sniping you can feel it also you can adjust it to be high treble. Beautiful pair of headphones, I can now sound beast people in BF4 they stomp around like dinosaurs. With a different sound than my Trittons maybe it's because it has better noise cancelling it like suctions to your ears and are closed backs. The Tiamats I only use for gaming , If I want to listen to music I'll use a stereo headphone I dock no stars for this. The worst sound quality I ever heard in my life. Before you read this, I think you should know that I'm not an audiophile and that English isn't my native language. Let me start this on a positive note. The design of Razer Tiamat 7.1 is very good. Even though the actual headset is big, it looks quite nice. The Razer logos on sides light up making this headset even more beautiful. 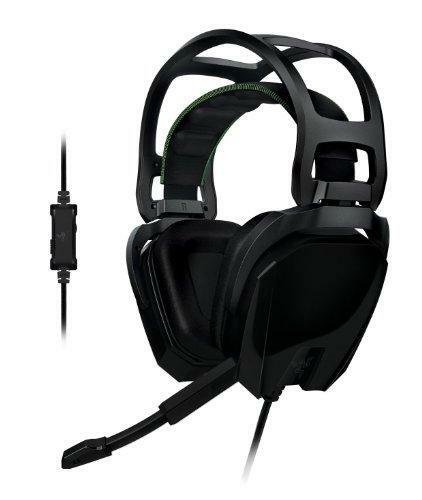 But because the headset is big and heavy, it's not very comfortable for long periods of time. It just makes me want to put my head down and sleep. But as far as the sound quality goes... It's not even close to earbuds that came with my Sony phone. In 7.1 mode, there is no bass at all but as soon as you switch it to 2.0, the bass eats all the other sounds. It's boomy and muddy. You can't hear anything besides granades and gunshots. In addition to that, all the sounds are muffled and it sounds like you're listening to 64kbps sounds in a big, long tunnel. But that's not it. In 7.1 mode, I could only heard sounds that were on the right and on the left side of me. I couldn't hear anything behind or in front of me. At first I thought that it's my integraded soundcard's fault. So I decided to buy a new soundcard. Asus Xonar something. I don't remember the full name, but as far as I remember, it wasn't bad. The new soundcard upgraded the sound quality. Tiamat sounded a little bit more clear, but still didn't match the $10 Sony earbuds (Not even talking about the Beats Mixr, the best value beats). I returned Tiamat to the store and took my money. I will never buy a Razer product again. 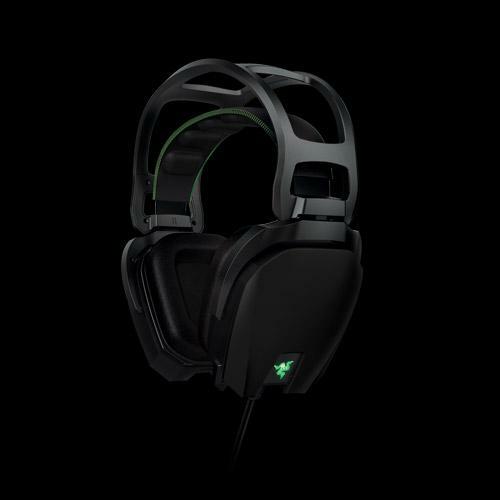 I just don't understand why Razer advertises this headset as the ''World's first true 7.1 headset'' that can produce ''crystal clear sound''. Overall, I give this headset a half of the star for the design and another half for nice packaging. My first Razer mouse died in six months, Logitechs last for years. I wouldn't put much faith in their build quality. My Razer Abyssus has lasted for 3 years now... I am still enjoying it! The only thing from razer is pretty much a nice product is the razer DeathAdder. The others...... you know the answer . I picked these up knowing that they wouldn't come close to the quality level of my Sennheiser Momentum headphones, but needing a headset, I figured Razer's flagship would be up to the task. The packaging and control box were very nice, and the speaker pass-through dongle was a great touch. It's also rather comfortable, and the auto-adjusting headband is a pleasure to wear. The microphone stays out of the way, and slides up inside the headphones when not in use That said, though, the good ends there. In 2.1 stereo mode, the sound is very muffled, with almost no treble to speak of. The bass is muddy, and it really reminds me of the sound you get from PC headsets that cost a quarter of the asking price of the Tiamat. In 7.1 mode, however, this reverses almost completely. Bass is virtually nonexistent even after maxing the "subwoofer" volume, and it turns into a shrill, tinny mess. I did manage to get some bass out of it by using the bass redirection function of my sound card (50Hz seems to be the sweet spot), but even then it was still rather muddy. I tried to use it in a game to see how the positional audio was, but I found myself cringing every time an explosion or some other loud noise happened simply because it was so shrill, and the positional effect was drowned out as a result. In the end, turning on my sound card's CMSS-3D in headphone mode offered far superior positional audio performance than the Tiamat's 7.1 mode. Lesson learned - You have two ears, and two speakers are far better equipped to handle both quality and surround sound than the multiple drivers inside the Tiamat. 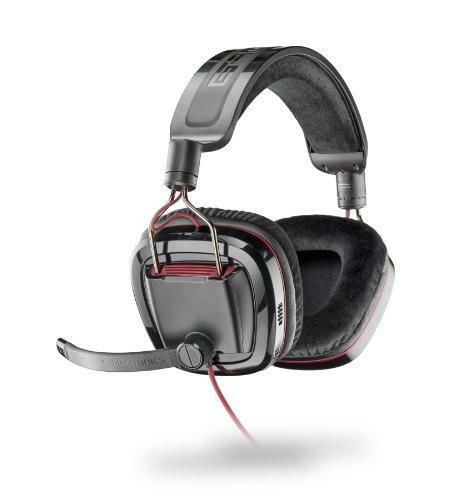 With Dolby Headphone or CMSS-3D, a stereo headset offers far better performance. - 10 drivers (5 per ear) allow for amazing spatial awareness when watching movies/playing games. - The cushions on each ear are quite nice and provide a good amount of nose cancelling. - The mic is retractable for when not in use. - Allow for surround sound speakers to be hooked up and switched to with the press of a button. - Can be switched between 7.1 and 2.0 when necessary. - Can change the volume of sides, center, front, mic, subwoofer, and rear independently. - 7.1 has no bass while listening to music, 2.0 is better but it is still muddy and overall not a very good experience. - The top band has started to hurt my head after a couple hours of use. - I can barely hear myself talk when I have these one, even when there is not sound coming through them. That speaks volumes about their noise-cancelling ability but it can be a con since I talk a lot during some games. 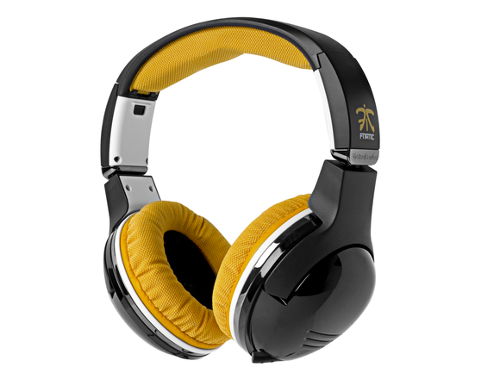 Overall these headphones are a great pair for any serious PC gamer. Most of the cons I found don't matter much to a PC gamer. While 360/PS3 support would be great, I understand the technical limitations involved in doing it. The biggest problem is the horrible sound of music when using them, but that's not what they are designed for anyway. They are designed for games, and in that area they excel. So I just bought these a few hours ago so I have a bit of a burn in period to deal with (should be good in a week or so) but as far as the music is concerned, it does sound like crap when you aren't in the 7.1 mode. There was a lack of bass initially in the 7.1 mode, and this will stick if you use onboard sound. If you have a decent soundcard, it should have a way to force bass redirection and if you do that you will definitely have bass and it makes it a whole lot better, I would suggest setting the crossover at about 80Hz. Another note, if you are skill with an equalizer you can clean the soundstage on these up pretty well. So while they don't sound like my 595s (RIP, sniff) they at least don't sound like a gigantic brown blob of noise mess. Gaming and movie (7.1 mode): enjoyable since you can spot location very easy. Music (2.0 mode): if you listen music with 7.1 you can't not hear any bass. However, in 2.0 mode, the sound is extremly boomy and bloated.